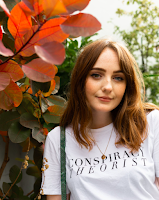 A while back I realised I was giving out so many Liverpool recommendations, from places to eat in Liverpool, best coffee shops in Liverpool or places to stay in Liverpool, that I thought I might as well do a post. On Twitter, I did a poll and the most popular choice for my first Liverpool recommendations post was places to eat in Liverpool, so here are my top recommendations for restaurants in Liverpool city centre. Bonus - they're all vegetarian and vegan friendly, because us veggies gotta eat. If you look on a map, you'll notice these places to eat are all pretty close together, and that's because Bold Street is the best street for restaurants in Liverpool, with dishes from all over the world from plenty of independent restaurants. 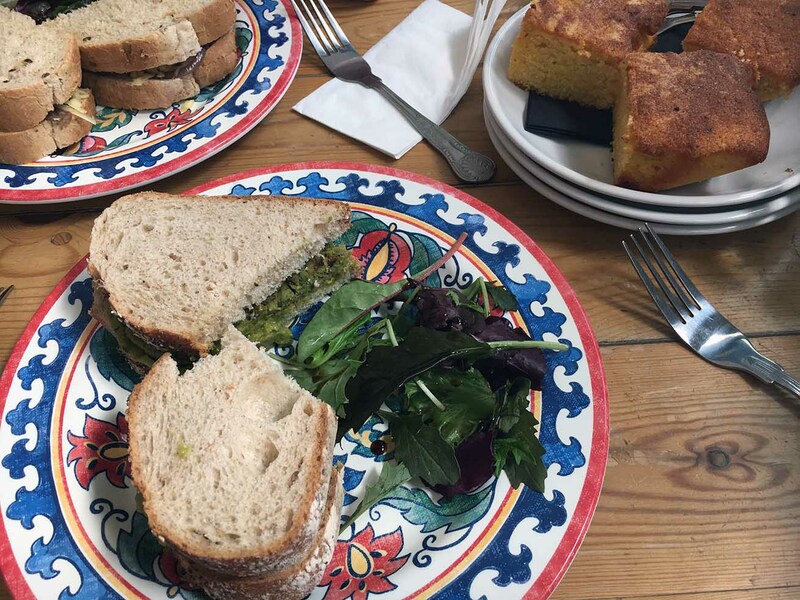 There's so so many I could write about in this post, but for now I'll just focus on a few and mention a few more vegetarian and vegan friendly places to eat in Liverpool at the bottom of this post. The Baltic Market, located in the old Cains brewery in the Baltic Triangle, is one of the newest foodie additions to the city, opening this summer. It was set up by the lads behind Independent Liverpool, designed to gather a bunch of the best independents Liverpool has to offer all under one roof, for a dog-friendly foodie set up open Thursday-Sunday. Be warned though, if you are heading to Baltic Market on a Thursday or Friday, it doesn't open until 5pm, and soon after the doors open, it gets really busy, so get down there early to grab a seat. 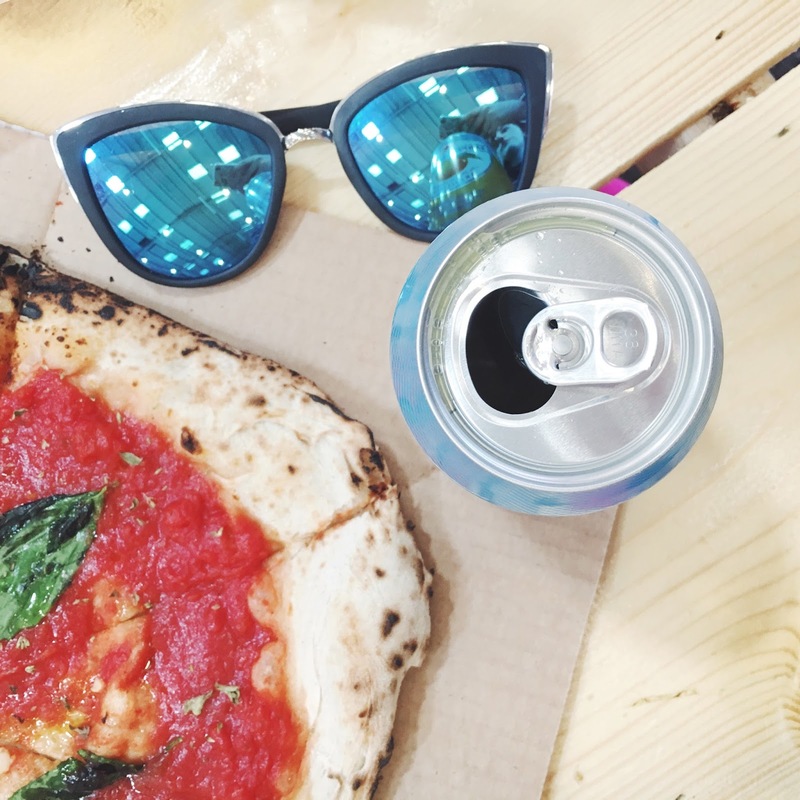 Inside, you can find loads of stalls covering everything from seafood, pulled pork, slutty brownies, vegan Caribbean bites, Indian street food, and my favourite pizza in Liverpool, from Little Furnace. This is their vegan option, and it is bloody lovely. FACT is a Liverpool landmark, home to cinema, food, drinks, art, and even Shia LaBeouf for a weekend, but it's also home to my favourite sandwich of all time. That falafel and guacamole combination is made from actual magic, I swear. It's a place you can usually always find a seat, and despite the name, it is indoors, so can be enjoyed all year round. Have a wander around their amazing exhibitions whilst you're there, too. Leaf is one of those places that most scousers will recommend if you tell them you're looking for a bite to eat, as well as being one of those places you'll find instagrammed a thousand times over. It's also a place you'll find live music, mental health help sessions and vintage fairs. 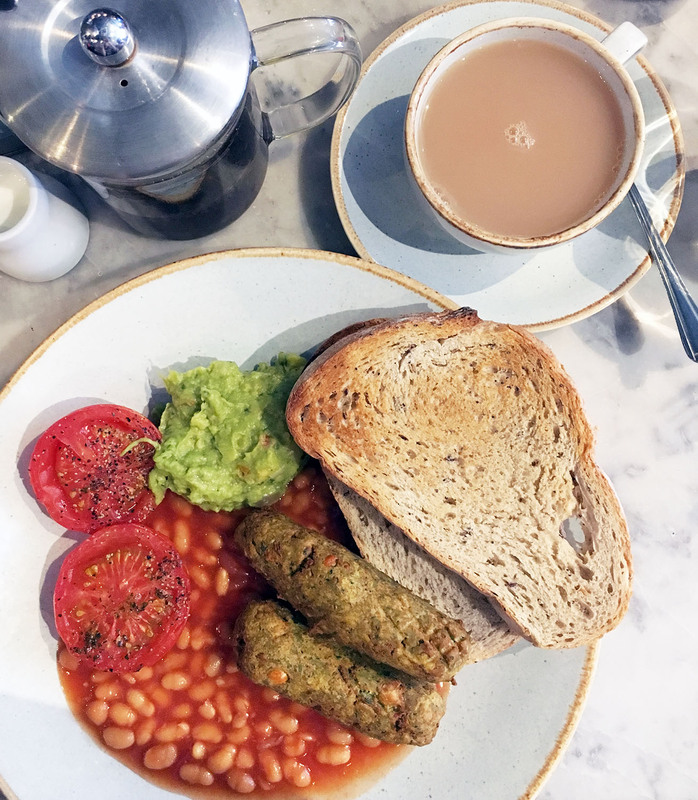 You might have guessed by the name, but Leaf is famous for it's many varieties of tea, which just happen to go down well with their veggie friendly menu, particularly their vegan breakfast, which if you follow me on Instagram, you'll know is officially THE BEST BREAKFAST OF ALL TIME. I think about it several times a day, even if it's not breakfast time, and count down the days until I can enjoy it next. Falafel sausages, beautiful baked beans and creamy avocado.. it's what dreams are made of. If you're looking for somewhere great for vegetarians and vegans in Liverpool, Leaf would definitely be one of the first recommendations on my list. You know KO is good when you book your graduation meal there before even paying the bill on your first visit. KO is located down the lower end of Bold Street, whereas the majority of restaurants are in the upper end. The restaurant is entirely halal and has an array of vegetarian and vegan options options, which means it's great for everyone, but if you fancy a drink with your meal please remember KO doesn't serve alcohol. Don't worry though, I'll be writing a post on the best bars in Liverpool soon enough. The dahl in KO is one of the best I've ever tasted, and I couldn't even finish the roti because you get so much for your money (and I always finish my roti). If you want a massive meal without the ridiculous bill, KO is the place to go, plus the staff are amongst the friendliest in the city, which makes it even better! Crust is located just next door to KO, and is always packed no matter what time of day it is, because everyone knows you can find one of the best pizzas in Liverpool there. There's gluten free and vegan options, plus a load of beers at the back, making it a great place to suit pretty much everyone. If you do go, make sure to try one of their lovely lemonades, they're delicious! As I said, there's so many more places I could recommend for vegetarians and vegans in Liverpool, so here's some more of my recommendations. 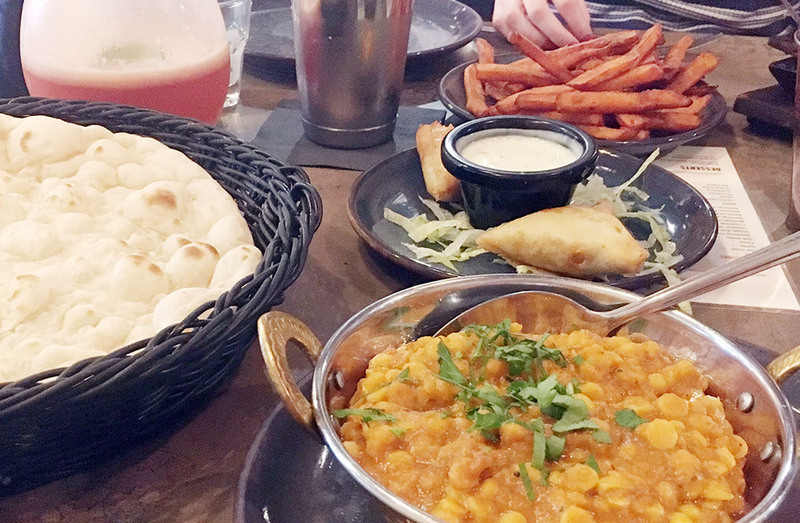 Mowgli is possibly the most recommended place to eat in Liverpool, with restaurants on both Bold Street and Water Street serving up the most delicious Indian food. If you're going to be eating there at peak time, or heading out with a big group, make sure to book a table at their Water Street restaurant, as Bold Street doesn't take bookings and there's often a waiting time of 1-2 hours and a queue out the door. If that isn't a sign of good food, I don't know what is. Another of my all time favourite restaurants in Liverpool is the Italian Club, also on Bold Street. As you may have guessed, they serve Italian food, in their family owned restaurant, where you'll find an entire vegan menu and one of my favourite dishes of all time, their gnocchi. If you're after a quick bite to eat, try out Chango's Burritos on Dale Street, which has delicious vegetarian chilli burritos and Instagrammable decor to match. And don't forget the Baltic Social, just around the corner from Independent Liverpool's new Baltic Market, which has the best mac 'n' cheese I've had in a long time. See my review of the new menu at the Baltic Social before you go! 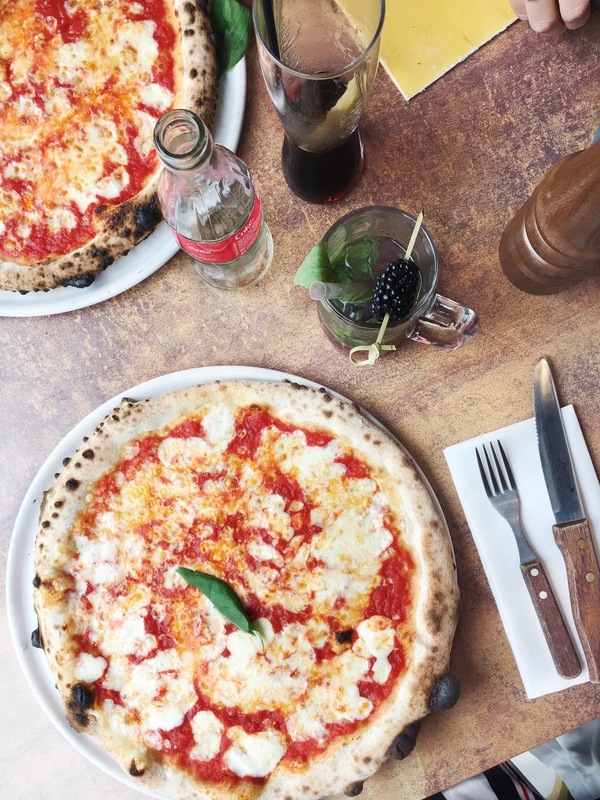 I hope you enjoyed my list of the best places to eat in Liverpool! Do you have any other suggestions for Liverpool blog posts? Let me know! I've never been to your side of the pond but I love eating vegan food. All of these vegan eateries look fab and all of the vegan food shown looks scrumptious!